From valuable essentials to multiple tubes of lip gloss, you and your handbag are attached at the hip (literally). 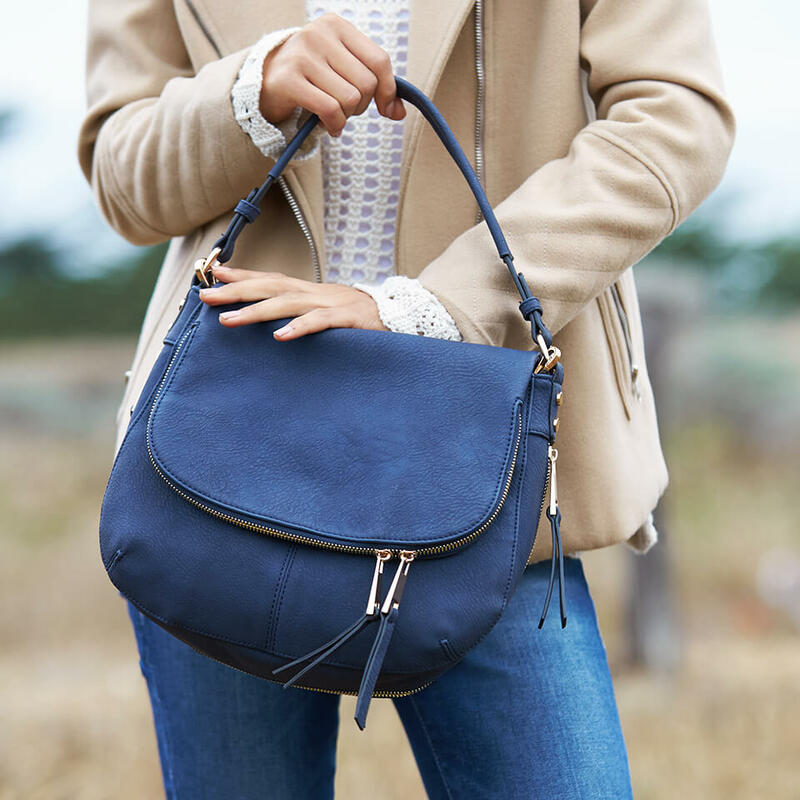 Whether it’s a vintage leather hand-me-down or a designer splurge—read on for pro tips to take care of your carryall. Gently clean with a fragrance-free baby wipe: At the end of each week, wipe the exterior of your bag with an alcohol-free baby wipe—it’s gentle enough for your bag, but will still take the dirt off. Use leather conditioner: To keep your handbag soft & clean, invest in leather conditioner! It’ll prevent unsightly cracks with consistent use. To Remove Oil Spots: For unexpected oil stains, treat with baby powder. Just sprinkle over the spot and let it sit overnight. Repeat as needed. To Remove Dirt: Brush the dirt off your shoulders (or bag!). To remove dirt from real suede, use a pencil eraser to remove the scuff or stain. To Remove Ink Stains: Use rubbing alcohol to remove pen marks. Just be sure to test this method on an inconspicuous area first. To Preserve: Keep your leather goods out of the sun to prevent fading and cracking. The best way to store your purse is in a dust bag in a cool, dark place. Stylist Tip: Crumbs, random receipts, gum wrappers–no more! Keep your bag tidy by routinely clearing out stray waste. Then, use a lint roller (or packing tape) to clean the lining. Microfiber the dirt away: Once a week, dust your purse with a thick microfiber cloth to remove dust & other loose debris. Gently clean with a baby wipe: Just like caring for your real leather bag, wipe your faux leather bag with an alcohol-free baby wipe. To Remove Dirt: Remove dirt from the outside & inside with a simple soap solution. Mix warm water with a pea-sized amount of mild liquid detergent, then wipe with a sponge. To Remove Stubborn Stains: For particularly soiled areas—like ink stains or pencil marks—apply rubbing alcohol to the affected area. Try testing this method in a subtle spot first to be sure it won’t take off any color. To Clean Up: When applying cleaner, don’t forget to rinse so the soap suds don’t get lodged in the porous fabric. To Prevent Odor: The best way is to let it air out. To help speed up the process, stuff it or wrap it in newspaper (it miraculously absorbs the smell). What are your tricks for keeping your handbag clean? Tell us in the comments!